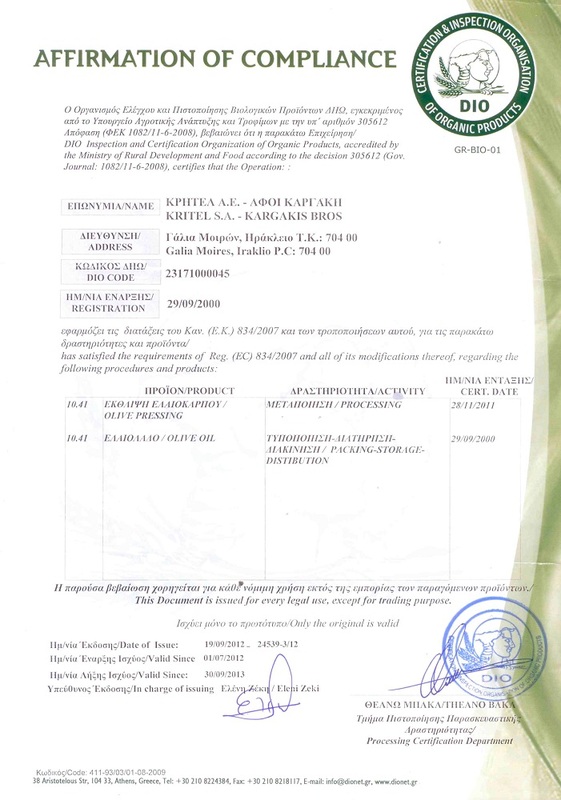 Our company has also been certified by Δ.Η.Ω., the Organization for Control and Certification of Organic Products, which is among the Bodies for Control and Certification of Organic Products as has been published in the Official Journal of the European Union. 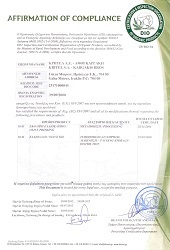 As of 2008, our company has established the Certificate for the Production of PDO Products (Products of Protected Designation Origin / PGI – Products of Protected Geographical Indication). 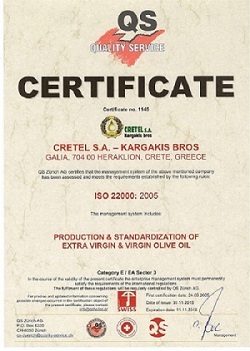 The Certificate entails the PDO Recognition of the olive oil “Siteia Lasithiou Kritis”. Its issuing agency is O.P.E.GE.P., the Organization for Certification & Inspection of Agricultural Products/AGROCERT. 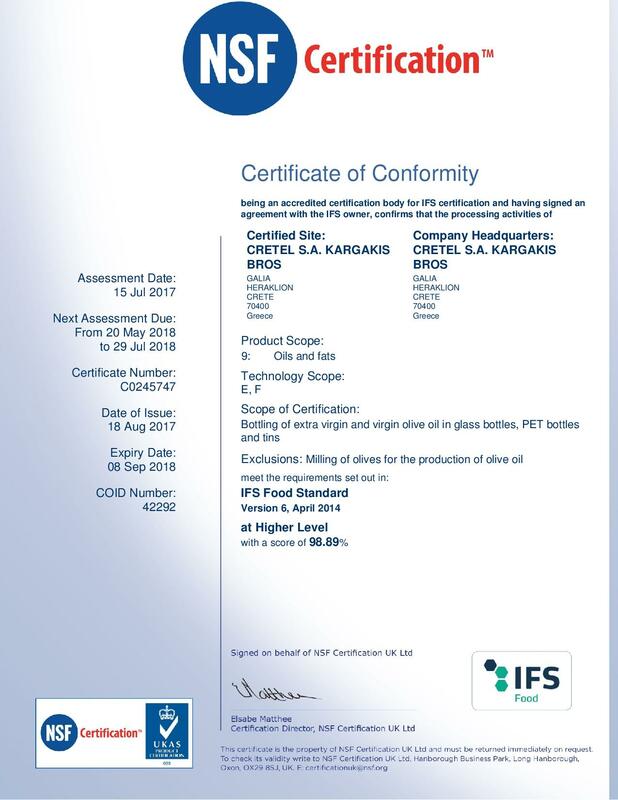 As of 2014, our company has established the Certificate for the Production, Packing and Trading of PDO Products (Products of Protected Designation Origin / PGI – Products of Protected Geographical Indication). 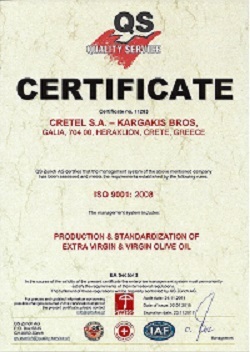 The Certificate entails the PDO Recognition of the olive oil “MESSARA PDO”. 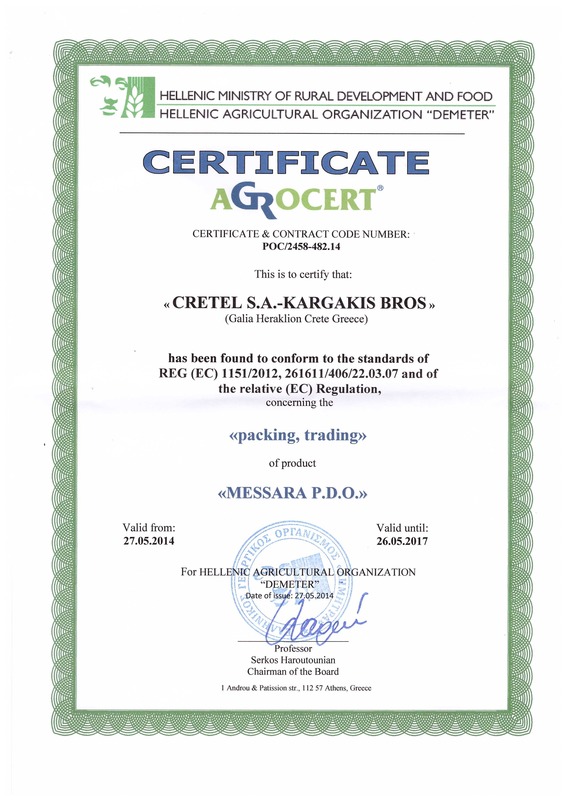 Its issuing agency is O.P.E.GE.P., the Organization for Certification & Inspection of Agricultural Products/AGROCERT. As of 2016, our company is also certified by the International Featured Standards (IFS), a GFSI (Global Food Safety Initiative) used to audit food manufacturers regarding food safety and quality of processes and products.